Why Ride a Stallion? 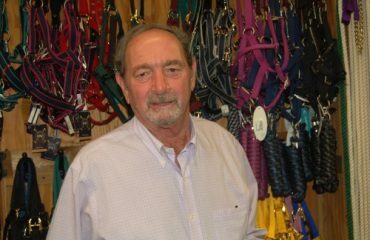 Double H Farm’s Quentin Judge Gives Ten Reasons! Quentin and HH Dark de la Hart. 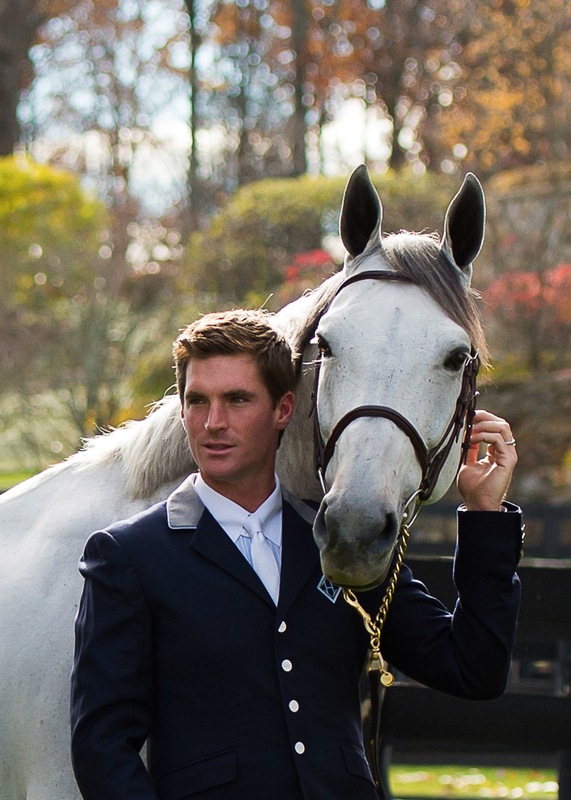 Quentin Judge is a professional rider at Double H Farm, a world-class competition, sales and breeding operation based in Ridgefield, Connecticut, and Wellington, Florida. Originally from Chicago, Illinois, Quentin has worked with some of the top professionals in the industry, including Missy Clark, Joe Fargis, Jan Tops and Margie Engle. In 2012, Quentin had a breakthrough year. 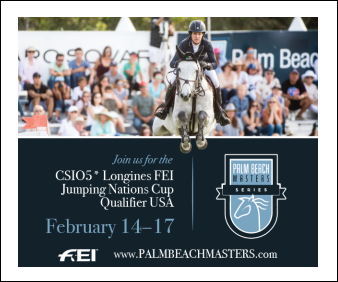 Riding HH Carotino, Quentin was clear in the second round of the 2012 USEF Show Jumping Selection Trials for the Olympic Games and was named to the American team to compete in Buenos Aires, Argentina, where he helped the U.S. win the Nations Cup. 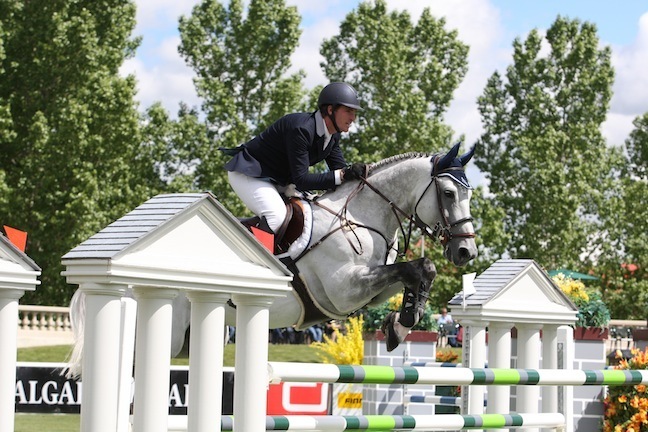 In 2013, Quentin also had top finishes, including his first FEI-level victory, in the $50,000 Husky Energy Cup at the Spruce Meadows ‘Continental’ Tournament. 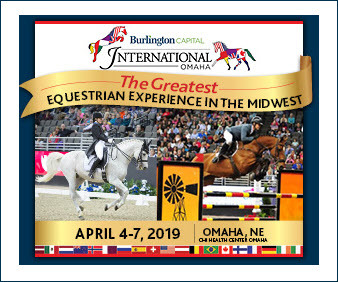 Quentin was named to the American team once again for the Nations Cup in Bratislava, Slovakia, where he and HH Dark de la Hart were clear in the first round to help the United States to victory. #10. VIP treatment at the FEI jog. 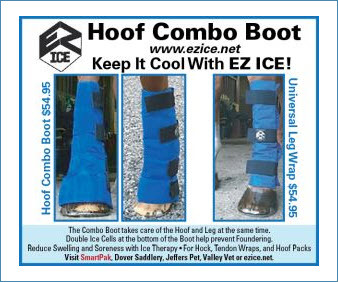 At each show, we have to jog our FEI-level horses for soundness for the show veterinarian. Oftentimes stallions will get moved to the front of the line so they don’t have to stand for a long time around other horses and mares. #9. The opportunity to keep a special horse. 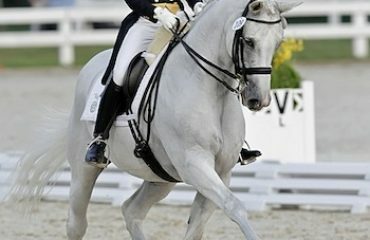 These days in the top level of show jumping, horses are bought and sold more often than they are kept. With some stallions, their “second career” as a breeding stallion may give their owner a reason to hold on to them and not sell them even if the opportunity arises. Pretty is as pretty does in our sport, but it never hurts to be riding a handsome horse. So, even if you don’t have the best show, you will surely get some awesome pictures out of it! #7. It’s a thrill to see your stallion’s offspring. We are lucky at Double H Farm to have some great stallions who have offspring competing throughout the United States and Europe. It’s thrilling to see one of your stallion’s offspring become successful in the show ring. Our foundation stallion, Orlando, has offspring such as “Ohlala” with Lauren Hough and “Calypso” with Kirsten Coe winning at the top level, which is incredibly exciting. In our experience, stallions tend to lead longer, healthier lives. Maybe the increase in testosterone and muscle keeps stallions fitter and more sound than geldings or mares. Whatever the reason, we have found that stallions tend to keep themselves in better shape, which leads to less health problems and a longer life. Quentin and HH Dark de la Hart competing at Spruce Meadows. #5. Stallions keep you on your toes! Some stallions, like Dark, are just as well behaved as geldings while some stallions are a handful to take care of. But no matter what type of stallion you think you have, you better be ready to deal with whatever they throw at you, because when the mood strikes them – watch out! #4. You turn into a handyman! 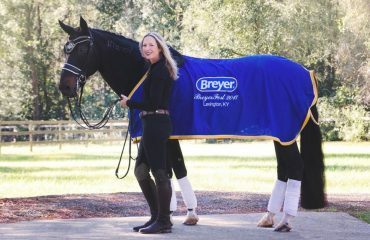 Bringing a stallion to a show takes some extra planning. You need to make sure your stallion cannot get too close to other horses, especially through or over the top of the stalls. We always bring plywood with us to increase the height of our stallion’s stall walls, because you never know when there will be a mare stabled behind your stallion. There have been more than a few times when I have been hanging off a ladder trying to put up plywood! #3. Making a grand entrance. You can do a lot of things with a stallion, but one thing you can’t usually do is go unnoticed. When I get into a crowded schooling arena, Dark starts screaming which lets everyone know we are there! #2. Having a horse fight for you. Stallions have a lot of power, opinions and personality. If you can get those traits channeled in the right direction, you will have a partner that fights for a clear round as hard as you do. There have been quite a few times when I have asked a lot of Dark in the show ring and, if his mind is on the job, he digs in and gives me his all – and normally lets me know he has done so by bucking when he lands! #1. 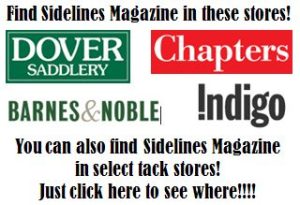 Having a stallion gets you more involved in bloodlines and lineage. Working with stallions and breeders gets your feet wet in the vast and interesting network of performance-driven breeding. As we have become more involved in the breeding market, we have gotten familiar with many different breeds, bloodlines and individual stallions. As we gain more knowledge, we start to recognize desirable traits of certain bloodlines and can then make better decisions for our own breeding program, which we hope will pay off with Double H Farm bred and trained champions! 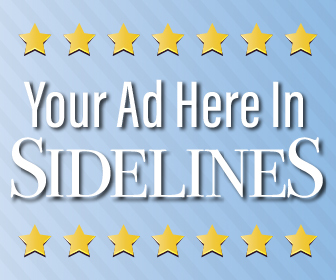 Quentin and Dark: While riding a stallion may have its challenges, it also has many rewards.